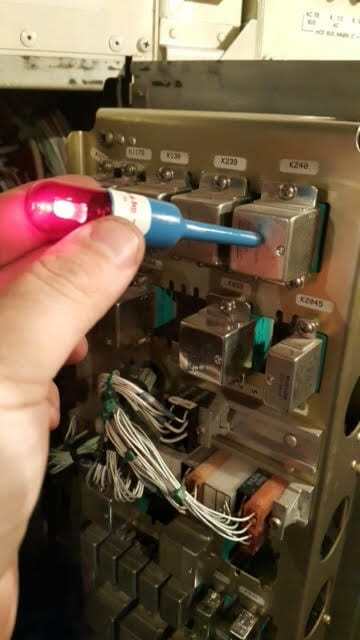 Here is another test using the Bartol Mag-Probe to test a Leach Relay on a Boeing 767-300. For over 10 years many of the Major Airlines have adopted using the Mag-Probe to separate mechanical from electrical problems quickly when testing relays or solenoid valves. The amount of downtime on a Boeing 767-300 Aircraft can be significantly reduced when using a Bartol Mag-Probe. The Mag-Probe can be used underwater, in a vacuum, explosive environments, and in clean rooms. Most importantly it is the time and cost the Bartol Mag-Probe saves companies that causes them to continue to re-order.